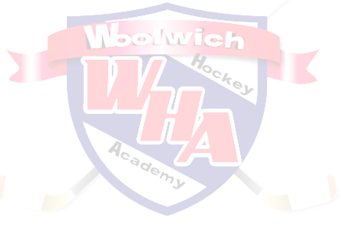 Welcome!The Woolwich Hockey Academy is pleased to offer programs for March Break, Spring Tryouts and end of Summer Camps. The programs listed below are all held in the beautiful Woolwich Memorial Centre, located in Elmira, Ontario. Note: Registration is full for 2007/08/09 birth year players. Still accepting registration for 2010/2011 birth years. Note: Registration is full for 2006/07 birth year players. Still accepting registration for 2008/09 and 2004/05 players. With 2019-20 try-outs taking place in the spring, we will be offering 4 x 80 minutes of ice times to tune up all your player's hockey skills. The ice times will consist of typical try-out drills that are designed to assess player's vital hockey skills. The camp has helped hundreds of players meet their goal of playing at a higher level. WHA offers two weeks of summer camp, and offers the chance for your player or goalie to get lots of ice time before the season starts up. Camps are offered for Tyke/Novice, Atom, Pee Wee or Bantam/Midget age levels. Everything we teach is intended to be conveyed in a fun and enjoyable learning environment. We believe that the right hockey/learning environment can show the players that hard work can be fun. Click here for further details about the Summer Camps and be sure to register early because these camps sell out every year!.